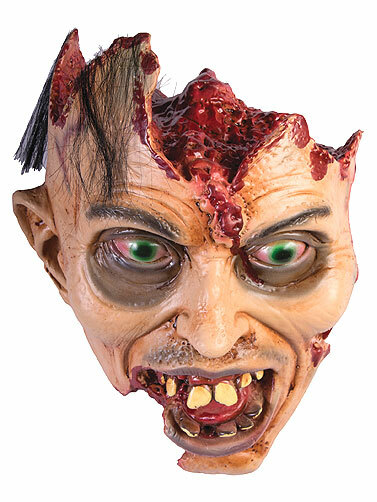 This Bloody Open Head Prop will add a gruesome element to your Halloween display. Highly detailed head features sunken eyes, tufts of hair and bloody open sections where the brain used to rest as well as the jaw and right ear. Foam filled latex with a flat back. Safe for outdoor displays. Bloody Open Head Prop measures 10"L x 8"W x 5"H.